Build a secure wireless network that safeguards your wireless traffic from threats and optimizes performance, with the SonicPoint Wireless Security Access Point Series. Combine SonicPoint Series 802.11ac wireless access points with industry-leading SonicWALL firewalls to create a wireless network security solution that delivers wired-like network security and performance. Maximize the performance of your 802.11ac wireless network while dramatically simplifying your WLAN setup and management. 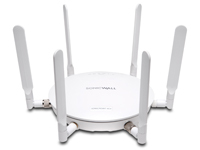 SonicPoint Series wireless access points give you fast wireless access with enhanced signal quality and reliability. Take advantage of the capabilities in 802.11ac to achieve gigabit wireless performance. With support for IEEE 802.11a/b/g/n/ac standards, the SonicPoint Series enables your organization to use apps such as video and voice in higher density environments. 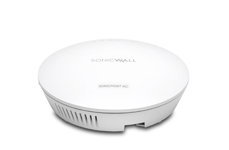 The SonicPoint Series integrates with SonicWALL next-generation firewalls to create a secure wireless solution that delivers comprehensive protection for wired and wireless networks. Reassembly-Free Deep Packet Inspection technology scans the wireless traffic to eliminate threats, such as ransomware, encrypted threats, phishing attacks and more. 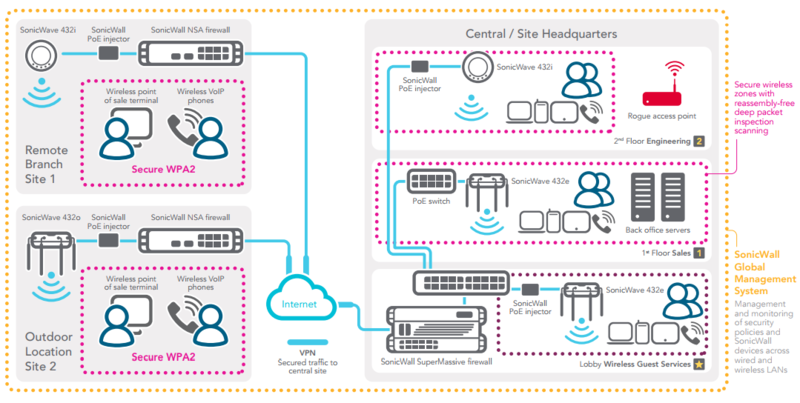 SonicPoints are simple to deploy into your new or existing network. SonicWALL firewalls have a built-in wireless controller that automatically detects and configures SonicPoints across your network, easing setup. 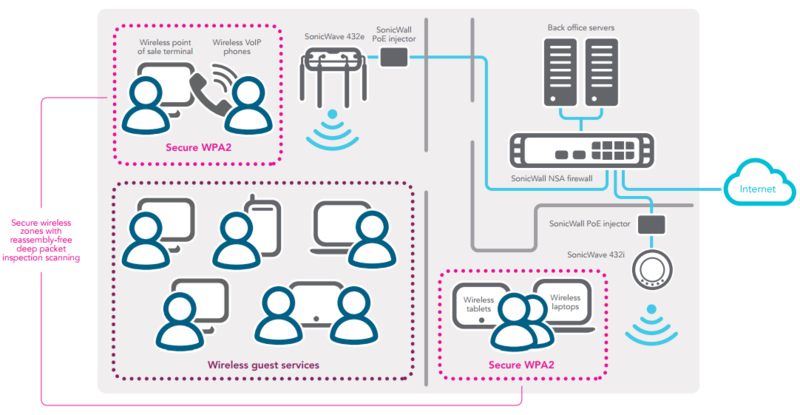 SonicPoints integrate tightly with SonicWALL firewalls to offer a single pane of glass for wireless management and monitoring.